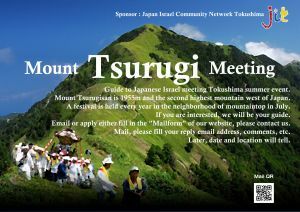 Guide to Japanese Israel meeting Tokushima summer event. 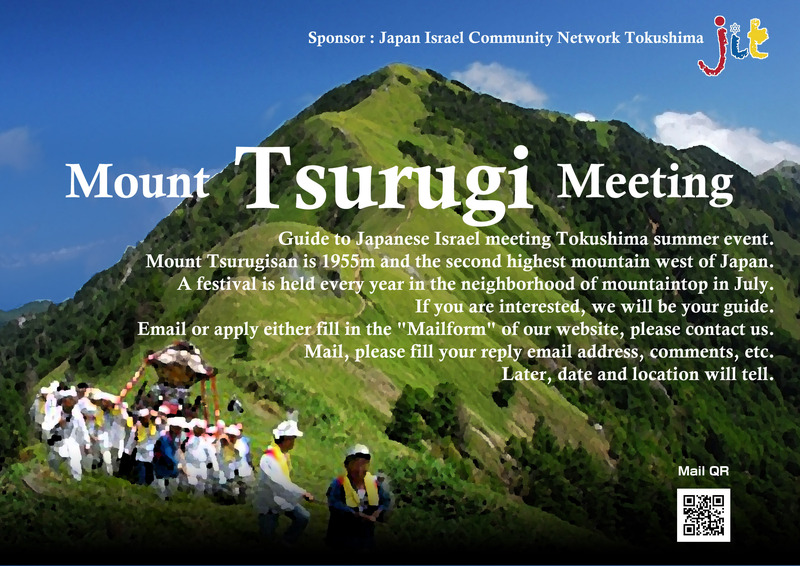 Mount Tsurugisan is 1955m and the second highest mountain west of Japan. 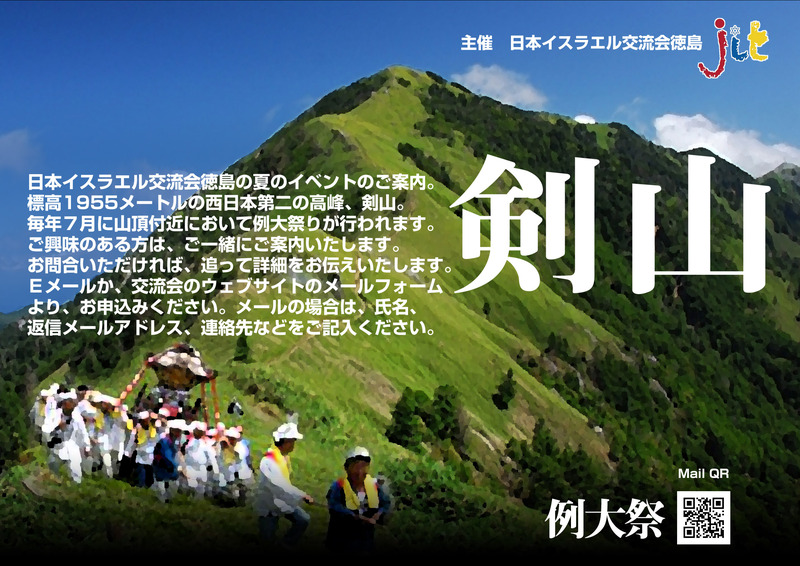 A festival is held every year in the neighborhood of mountaintop in July. If you are interested, we will be your guide. Email or apply either fill in the "Mailform" of our website, please contact us. Mail, please fill your reply email address, comments, etc. Email or apply either fill in the "Mailform", please contact us. Later, date and location will tell.